During the winter months, we are often more vulnerable to aches, pains and stressors in the environment. Acupuncture can have long-term benefits for improving the function of the nervous systems and pathways. Acupuncture can help minimize chronic pain. The risk of side effects is minimal. Normal treatment involves inserting sterile, single use needles into strategic locations around your body. The needles typically are painless and remain in place for approximately 20 to 30 minutes. Each session is completely individualized. We recommend a series of treatments to maximize the benefits. The following articles have more information about how Acupuncture can benefit you. 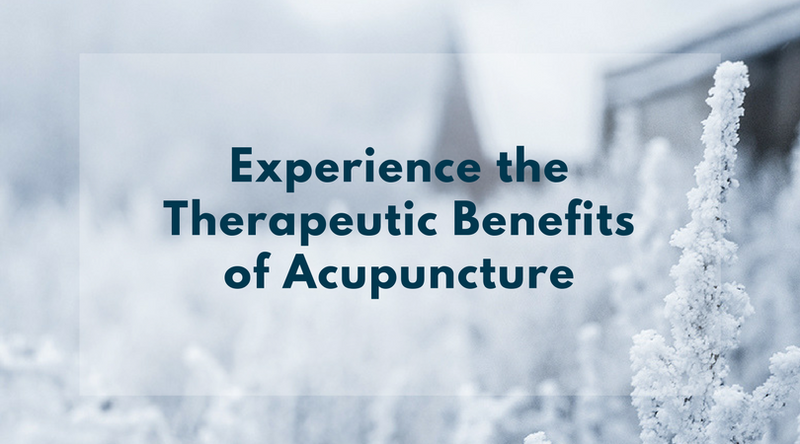 Through January, we are offering an Acupuncture Package of three 30-minute sessions for the price of two for patients who have not tried it and would like to experience the therapeutic benefits of Acupuncture. Please call us at 314-725-8600 for details or to book an appointment.